About a year and a half ago, I relapsed into my Grave's Disease. This meant that I was incredibly sick all the time for an extended period. During this time, I lost muscle mass due to the disease, I lost strength, and I was unable to run for long periods of time. I was weak, ill, and in a lot of pain. Little by little with the help of my doctor, my Grave's Disease became more under control to the point where I could run again. But, I was no where near the level I was at before. I was far slower and had lost all my endurance. To keep from losing hope, I registered for a half marathon to force me to have to train, even in my new beginner state. Every single run I did for training was slower than I had been running in the past 5 years. It almost became disheartening, my new inability to perform at a manner that not too long ago I could do easily. I had to reset my thinking. Instead of looking at this as another half marathon, I started looking at this as my new "first" half marathon. This race, and all the training for it, would be my new beginning and my new measuring point. No longer should I compare my times now to my times when I was healthy. I needed a new starting point, and I decided this race would be it. 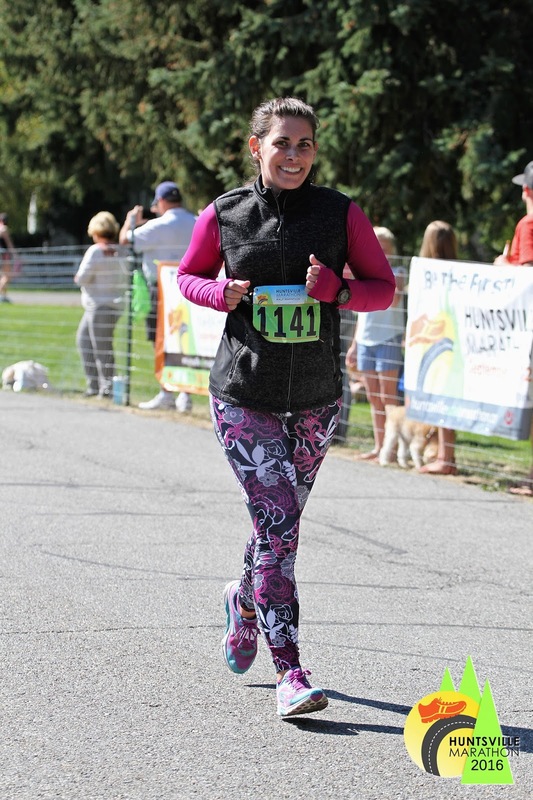 It was finally cold enough to wear my Skirt Sports enchanted leggings, free me long sleeve, and toasty warm vest! I love vests, and I really love that I have a running vest that also works for any occasion. The pockets of the vest held my phone, gels, chapstick, and head phones. This is my new favorite outfit to run in, and I can't wait for even more cooler temperatures. 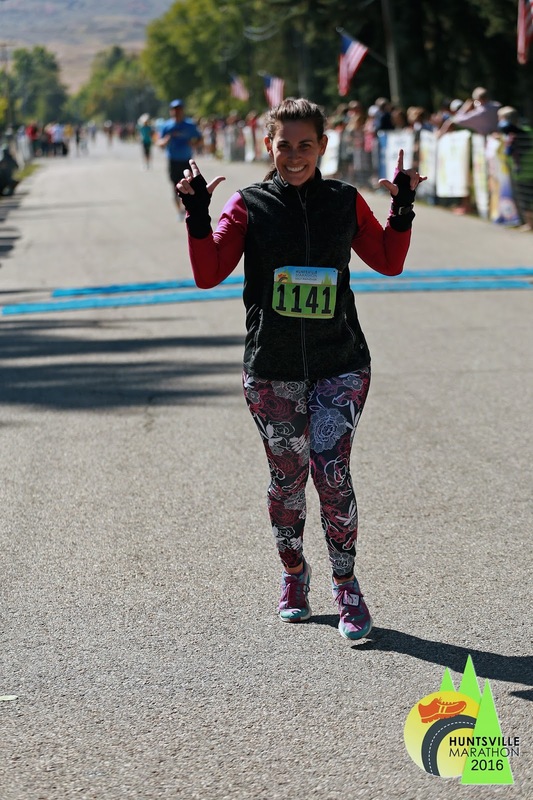 Last Saturday was that race, the Huntsville Half Marathon. 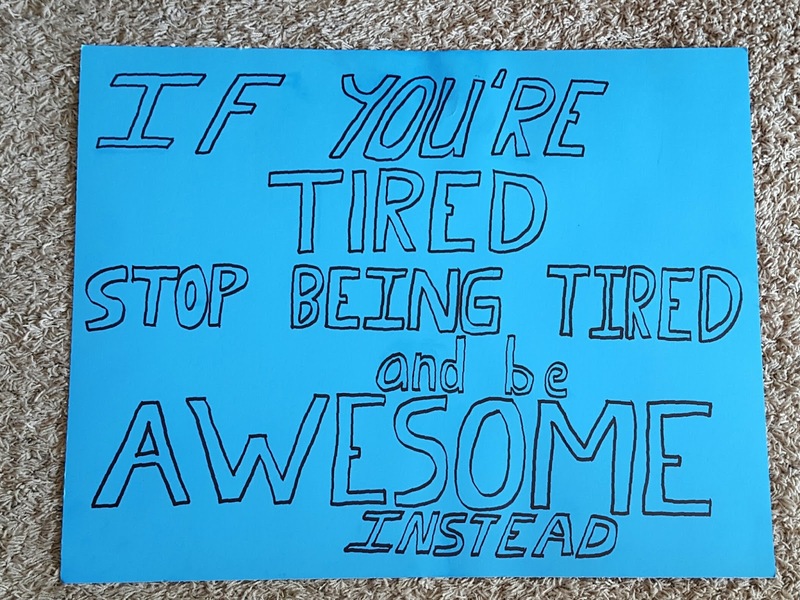 I'm glad I reset my thinking to looking at this as my new first half marathon, since I experienced a slew of problems before the race even started. Still, the course was absolutely beautiful! It was up in the mountains covered in the fall colors of reds, oranges, and yellows. The weather was a nice cool 32 degrees heating up to 55 degrees. 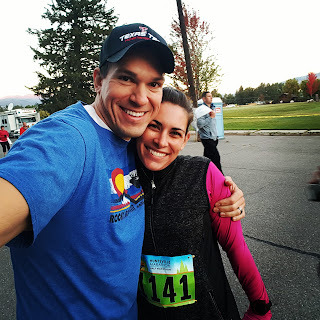 I already had my three favorite running things all together with this race: mountains, fall, and cool weather. Be still my heart! And, it was a downhill course. 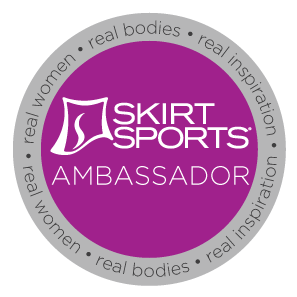 This is really good for me, as I'm used to running the flat plains of West Texas where inclines are few and far between. Oh, and since this also was at a far higher altitude than what I'm used to. Yes, I'm still getting acclimated to Utah, and it will probably take me another 5 months due to my Grave's Disease. Altitude will be a factor for a while. Before I even began training, I made three goals for this race. Since I was essentially starting over with running in general, these goals may not seem lofty, but they were for me in my current situation. - Goal #1: Beat 2:30. 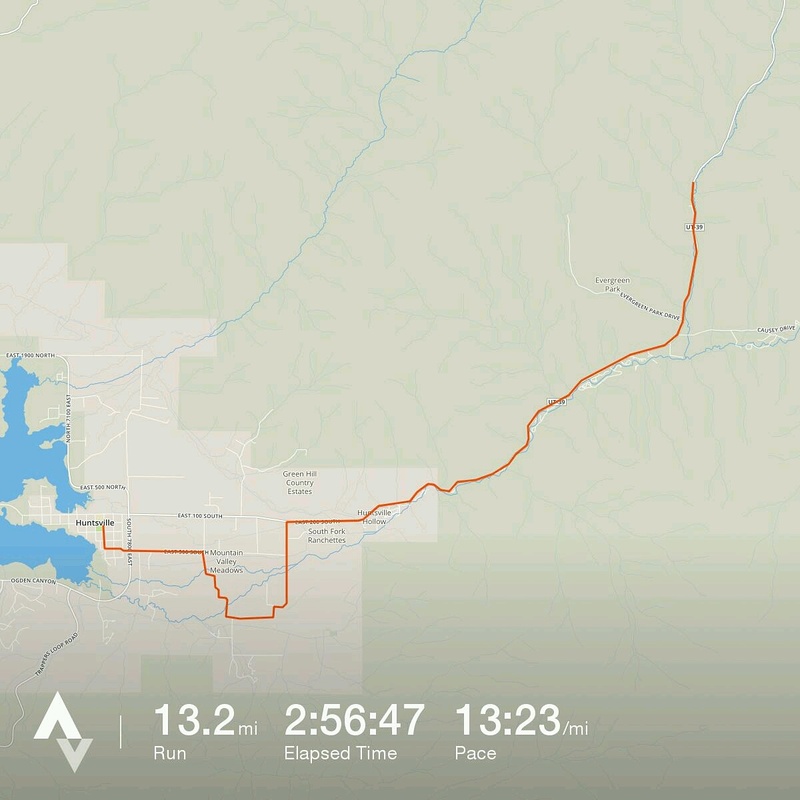 This was my normal half marathon expected goal. Back before I relapsed, I knew that I could always be 2:30, so that was my safe goal. This race however, it was my lofty time goal. - Goal #2: Beat 3 hours. Although this would mean a slow pace, this was my expected time goal. I figured I could for sure beat 3 hours, as long as nothing too crazy happened. - Goal #3: Finish the race. This was my safe goal. I knew for sure I would finish the race, no matter what. And I needed at least one goal that I for sure could make in a worst case situation. I like to have three goals for each race. A more lofty goal, a realistic goal, and a worst case scenario goal. This ensures that shy of not finishing in general, I will feel some sense of accomplishment at the end of every race. Even if it was a bad run altogether. And this run was set up to be far more challenging than I anticipated. For the past month, I've been struggling with my Grave's Disease and hyperthyroidism, trying to get it under control. I can tell that I'm still overly hyperthyroid which had been causing weakness, extreme fatigue, persistent nausea and pain. Let me tell you, training with all of that going on is already challenging! Then the week prior I got a bladder infection, which made running, and everything really, even more uncomfortable to accomplish. I had to be put on antibiotics, which just made me feel sicker. At least the infection was being treated. But even with the medicine, I still developed an ear infection and a head cold the night before the race. To top it all off, I spent that night in pain and unable to sleep. Ear infections are no joke! It still hurts as I write this! And it hurts a lot! So, I arrived at the race grounds operating on no sleep, in a great deal of pain and discomfort, nauseated, and physically fatigued. Like I said, the makings of a tough run. But I was determined! 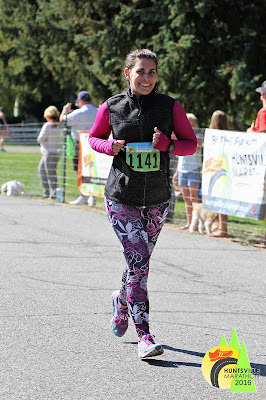 I was going to finish this race, because I really needed a win for my body. Initially, I started out faster than usual, but I felt alright considering. I love running in the cool weather. However, as the race went on and I kept running, I started feeling sicker and sicker and weaker and weaker. About half-way through the race, my IT band and old knee injury started really acting up, and I had to walk. I tried to keep running, but I was in so much pain from both the infections and from my IT band. Soon enough I found myself finishing the last few miles running a couple minutes at a time, then walking a minute. 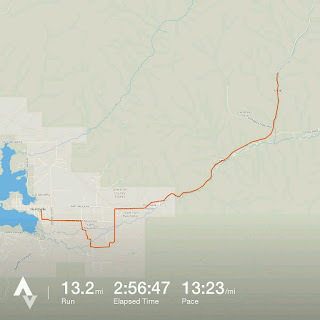 I was so exhausted, but I kept going. 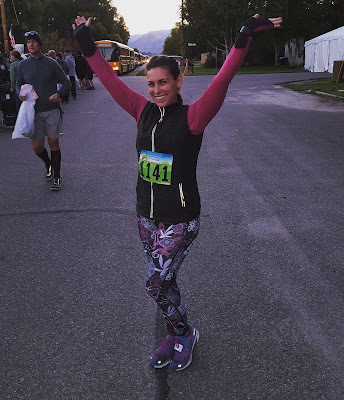 Even in all the pain of this race, I was so appreciative to even be out there--to run in the majesty of the mountains. I kept going, putting one leg in front of another. I was far slower than 2:30 for my finish time, but I was still going and I knew I would finish. 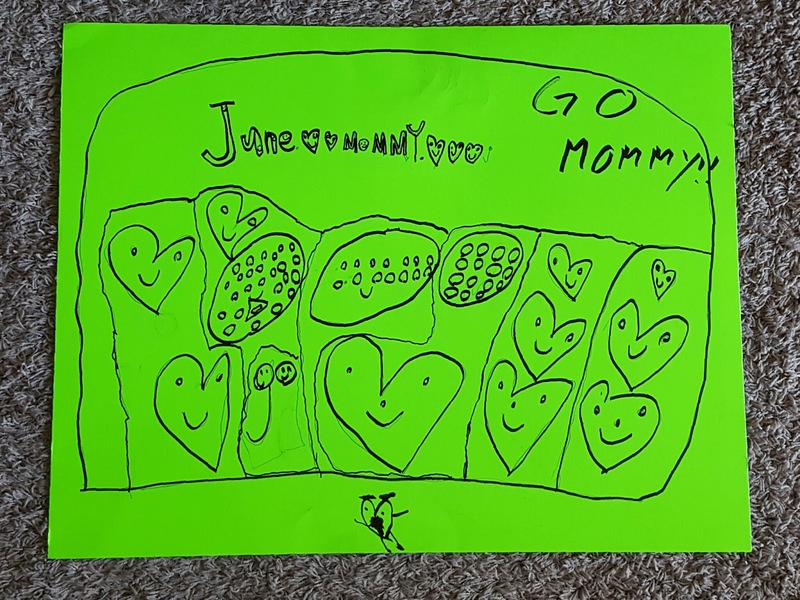 As I hit the final stretch, I saw my wonderful family out there cheering for me, even with some pretty awesome signs. 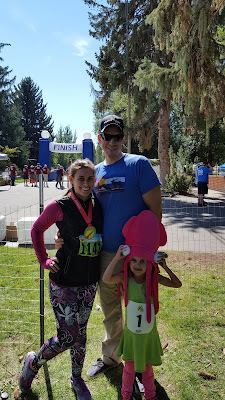 My husband, my daughter, some of my in-laws, and friends were out there cheering me on, even though I was far past my expected time of finishing. I was exhausted as I crossed that finish line, but I did it! I finished that race and I did it just shy of my second goal, in 2:56:64. So yay! I was in a lot of pain afterwards. I was limping and I was barely walking. My husband helped me get to the refreshments area where a sweet volunteer ran and got me a couple cups of chocolate milk. With how sick I was feeling after, that was all I could keep down. By the way, I don't condone running when sick. I didn't realize how sick I was until after the race. 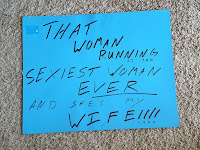 I need to give a shout out to my incredible husband really quick. He is the most loving, supportive, caring, amazing person I know! 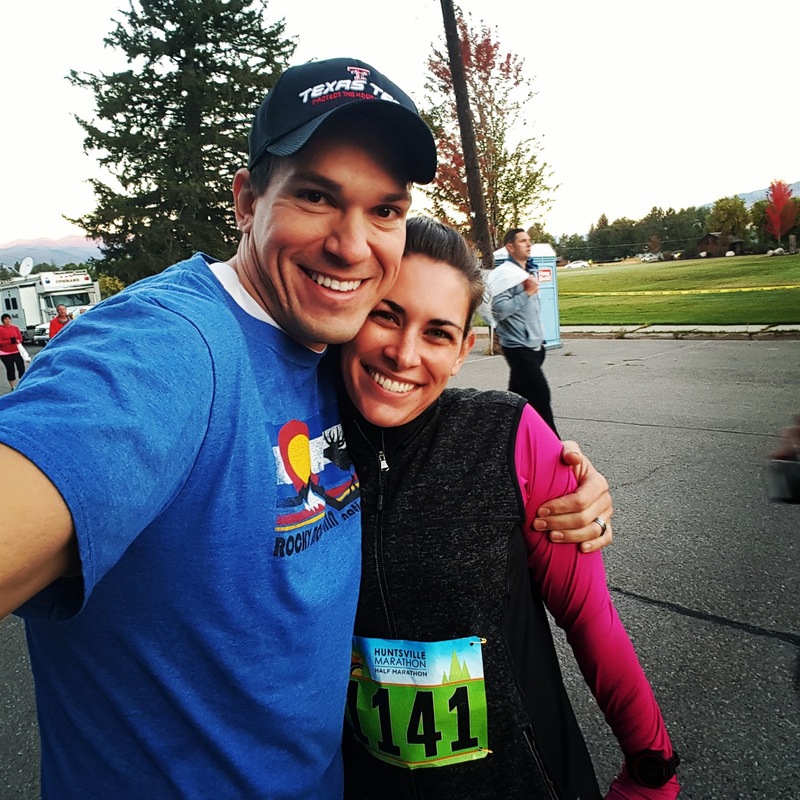 He supported me during my training for this race by driving me up to the mountains to practice running downhill and biking alongside me during these runs. He bought me new running shoes when I wore my old ones out. He was always so eager to make me dinner or lunch after my hard runs, whatever I was craving. He took the whole weekend to accompany me up to Huntsville for this race and woke up super early in the morning to take me to the race. 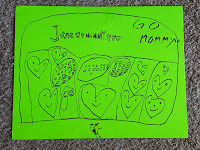 Then, he waited for me at the finish line after having made signs and entertained June during this time. 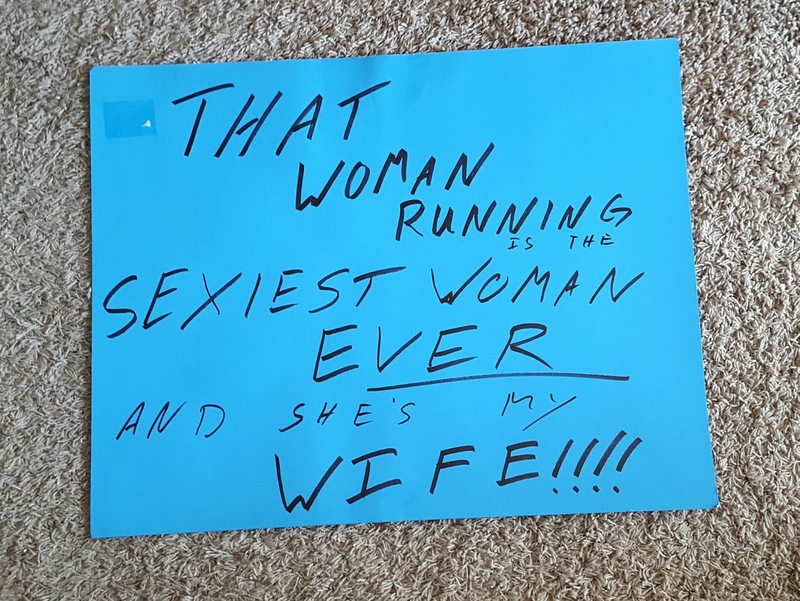 He even ran with June during her run and helped me stretch afterwards. Okay, he stretched my legs for me, which was even better since all I had to do was just lie on the ground. He is so incredible, and I am so blessed to have him. Now back to the race itself. 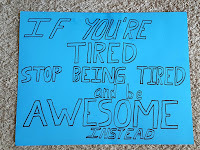 The Huntsville Marathon was very well organized. 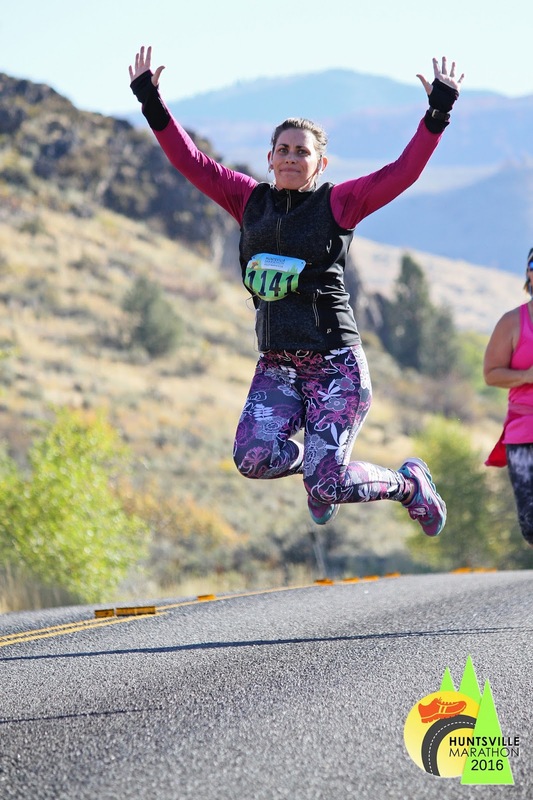 They had the transportation down, with all the runners being bused to the starting lines either 13.1 miles or 26.2 miles up the mountain to still allow for the races to start as scheduled. Their gear check was even quick and efficient. The aid stations were every two miles and had water, Gatorade, energy gels, bananas, and oranges. There was even an aid station where the guys working it were dressed up in outrageous 70's type costumes, and some silly clown costumes. As each runner crossed the finish line, the race announcer would call out their name and where they are from. That was a really nice touch when I staggered across the finish line and received my medal. There were runner-only treat booths at the finish with Great Harvest Bread Company offering bread with butter and delicious cookies, and other awesome post-run goodies. It was a very well-run race, and a lot of fun. Not my fastest, but I did it! So I crossed the finish line just shy of 11:30am (start time was 8:30am), which gave me 30 minutes to try and recover before the kids' run at noon. My daughter and some of her cousins were running that half mile race. June was so excited about having her very own race to run, and she wanted to wear her Skirt Sports dress and her bright pink squid hat. 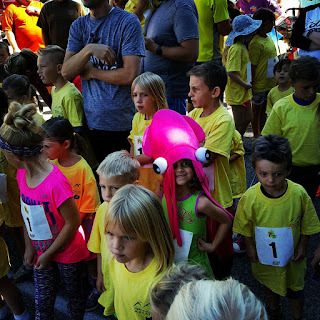 She stood out easily among all the children running. Since I was way more tired than I thought I would be, I sat on the curb and watched her start, then struggled to get myself up and walked over to the finish line to watch her finish. Alex and his friend ran off and followed her alongside the course to keep cheering her on. She rocked that run! Once again I must say that I'm glad she wanted to wear that squid hat because she was easy to find. She was so proud after she finished, and we were very proud of her. Just look for the squid in the ocean of kids. I love to see my daughter's passion for fitness. I hope to instill in her a desire to be active and healthy. I hope that she always finds it fun, just like she does now. Her excitement for these races gets me even more excited for them too. 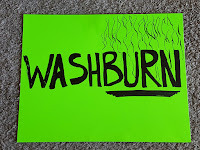 Sure, this race was tough--way tougher than I was expecting it to be with all the health issues I had. But, that's part of the reason why I run. I get sick A LOT! And sometimes it's really frustrating to feel like I'm always sick, to the point where I start to get depressed. I sometimes feel like my body is letting me down. But then, I look at my medal display full of medals of all the races I completed; of all the races my body has carried me through. 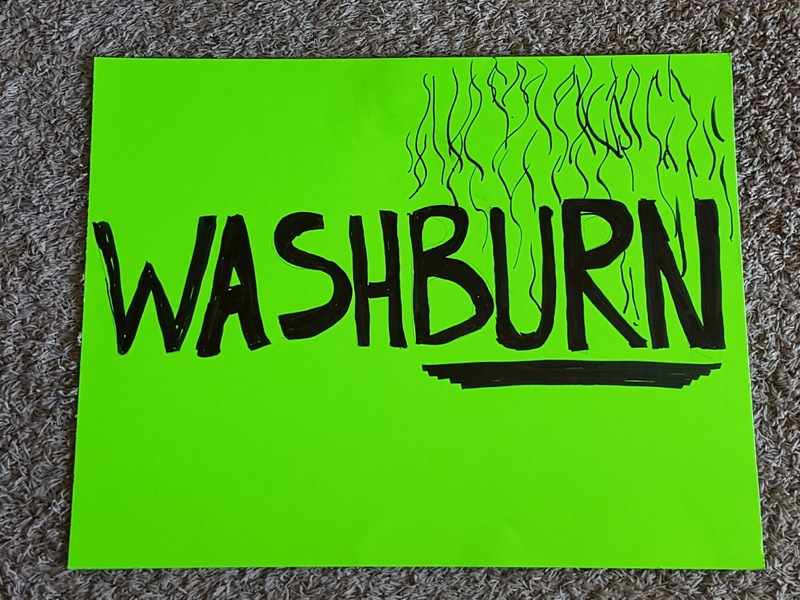 And then I have races like this, where I am struggling because of my disease, but still my body is strong enough to carry me through 13.1 miles--no matter how slow--and across the finish line. And that gets me through the hard times. I know that I can do hard things because I can complete hard races. Thanks! It was rough, but I did it.